What kind of problems does an orthodontist correct? Do braces hurt, and if so why? And how do teeth move? I have been to more than one orthodontist and received different opinions. Why is that? What is the difference between orthodontics and orthopedics? Why do the patients seem to start at a younger age, and why do they get two sets of braces? What is the next step to getting started with orthodontic treatment? What is the general sequence of appointments? If I need to have teeth removed to make room for aligning my teeth with braces, when do I get the teeth taken out? Will you take them out? If I have dental fillings or cavities that need to be fixed, when should I get that done? What are the ages of the youngest and oldest patients that you’ve treated? How much is an initial exam? Will my wisdom teeth (third molars) cause more crowding? I’ve heard that braces can damage teeth. Is that true? Will you work with my dentist? Do I have the choice between Invisalign and regular braces? How long has Dr. Wirant been in practice? Do you take transfer cases if I’m already wearing braces? Do you need to use needles or injections to put braces on? Can I choose the color of my braces? Do braces hurt, and if so, why? And how do teeth move? New technology in the past 20 years has improved the flexibility of the wires used in orthodontic treatment. This increased flexibility reduces discomfort, because the force applied to the teeth is reduced. By taking a non-aggressive approach, and gradually changing the wire material (metal type) and size, we find that many of our patients remain comfortable throughout treatment. Orthodontic treatment is, to a large degree, an art as much as it is a science. As in any of the healing sciences, there may be more than one treatment option. At Dr. Wirant’s office, every person is treated as an individual, and each treatment plan is based on that person’s individual needs. 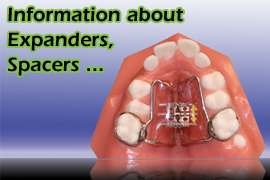 For instance, not everyone is going to need a palatal expander (a device that creates more space in the upper jaw). This appliance requires additional lab work, which pushes back the actual start date for braces, thereby increasing the initial number of appointments before commencement of treatment. An initial exam, evaluation, or consultation appointment is when you will meet Dr. Wirant for the first time. This is when you will need medical and dental acquaintance form and insurance information. You can go to this page and download the forms in advance or submit them online (Medical and Dental History Forms) At this appointment, Dr. Wirant will give you a general idea of the orthodontic problem(s).If something seems amiss and there are still baby teeth remaining, the orthodontist may want to take an X-ray (CBCT in 3-D) to see where the other teeth are.There is no charge for this appointment. If treatment is recommended, the next appointment is usually for records . It is at this appointment that X-rays and intra/extra oral photos are taken. 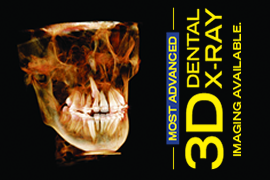 We are no longer taking impressions for study models on a general basis since the CBCT captures an excellent 3-D view. A final consultation appointment may be necessary if a particular case is complex, and Dr. Wirant will go over a finalized treatment plan based on the previously taken records.If you would like a more detailed review of the diagnosis and treatment plan prior to starting, let us know. At this appointment, you will be asked to sign the financials and informed consent. Separators are placed if a fixed appliance such as braces (but not always) or another appliance (expander) is made that uses bands. This is because metal bands may require a slight amount of space between the teeth so that they will slide on more easily. If an appliance requires fabrication at a lab, then the bands will not be cemented, but will be removed so that an appliance can be made. At the banding/bonding appointment, or an appliance insertion, you will actually start with your braces or another appliance. If I need to have teeth removed to make room for aligning my teeth with braces, when do I get the teeth out? Will you take them out? As a general rule, the more severe the crowding, the more likely it is that extractions (pulling) will be required before placing the braces. In some situations, it may be possible to align the teeth with braces and then re-evaluate the need for extractions.In either case, we will require a consult, orthodontic records, and a signed informed consent, before an extraction letter/prescription will be sent to your dentist/oral surgeon. What are the ages of the youngest and oldest patients that you have treated? Most often when this question is asked, someone is referring to the braces used 20-plus years ago. Back then, braces were fastened to the teeth by using thin metal bands (rings) that went around every tooth and a bracket that was welded to the metal band. The adhesives used today in bonding brackets directly to the tooth without the aid of the band were not clinically available.Back then, the bands were cemented with zinc phosphate cement. Zinc phosphate cement could wash out or leach from under the metal band and allow food to reach this area underneath. If this was not discovered soon enough—the beginnings of tooth decay could take hold, underneath the band. Today we no longer use zinc phosphate. Instead, a glassionomer cement is used, which contains fluoride and doesn’t wash out very easily if metal bands are necessary. Where brackets are bonded directly to the teeth (no metal bands), the bonding adhesives also contain fluoride. Visible damage such as enamel scarring (white spots) is caused by poor dental hygiene. Braces allow many places for food to collect. Proper brushing technique is imperative to a great orthodontic result. Do I have the choice between Invisalign or regular braces? Do you need to use needles/injections to put braces on? Yes. The colored parts of braces are actually the ligatures (elastics) that hold the wire into the bracket. These are usually changed at each appointment and allow the patient to choose a different color. Many children find this appealing, and it makes it easier for some parents to get children to go through orthodontic treatment. 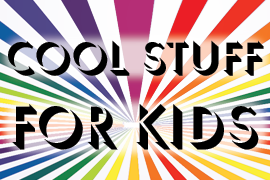 Fun and functional! Before colored plastic ligatures were introduced, steel ligatures were used. Steel ligatures were fastened by twisting the ends together, which could sometimes bend and poke the mouth—and cause ulcers. Steel ligatures still have their place today in orthodontics but are rarely used to tie-in/ligate every tooth individually. Clearly, the elastic plastic ligatures were an advance over the traditional method of ligation, and colors were just a clever way of making things more interesting.